Complete the UW System admission application. We begin processing applications on September 15 for fall admission and February 15 for spring admission. 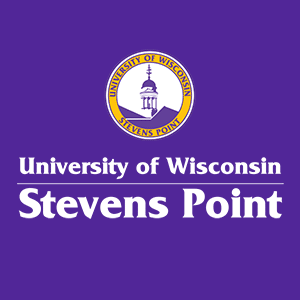 UW-Stevens Point does not publish a specific application deadline date. Because enrollment limits are in effect, admission may become more restrictive as we approach our limits. Early application is recommended. If you prefer to complete a paper application, you may download a copy here, or request a copy from the UW System HELP Office 800-442-6459 or the UWSP Admissions Office 715-346-2441. New first-year students must pay a $50 non-refundable application fee. The fee is good for one year (two consecutive semesters). If you apply online, you have the option to pay the fee with a credit card. Otherwise, you can pay the application fee by sending a check or money order, payable to UW-Stevens Point, to the UW-Stevens Point Admissions Office (1108 Fremont Street, Stevens Point, WI 54481). Please do not send cash through the mail. We do not require letters of recommendation. If your academic record is not strong or you have extenuating circumstances you would like us to consider, you are welcome to submit letters of recommendation for our review. If you are under age 21 and applying for admission as a new freshman, submit your ACT or SAT I scores. ACT and SAT scores from the high school are accepted for admission. 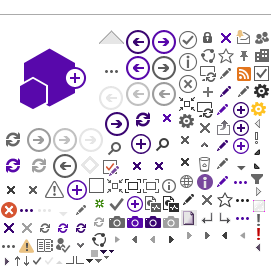 UWSP codes are: ACT code is 4680; SAT I is 1919. Please note that we do not require the writing section of the ACT examination for admission. If you have taken any college courses, ask each college you've attended to send official copies of your transcripts to the UWSP Office of Admissions. Students interested in the BA Dance, BA Drama, BFA Musical Theatre, BFA Acting, and BFA Design Technology programs and Music are required to complete an on-campus performance audition and/or interview. Visit the Theatre & Dance Audition Page or Music Audition Page for detailed information. You may contact the Department of Theatre and Dance at 715-346-4429 or theatre@uwsp.edu​, or the Department of Music at 715-346-3107 or music@uwsp.edu​ with any questions. A $100 deposit is required of all admitted students to guarantee their place in the freshman class. Information regarding the enrollment deposit is sent with the letter of admission. If ​you have already been admitted, click here to pay your enrollment deposit online. You may request a waiver of deposit if you are experiencing financial hardship. Submit such requests by contacting the Admissions Office at admiss@uwsp.edu. Click here for information regarding acceptable high school courses or see the Introduction to the University of Wisconsin System which is available in most high school guidance offices. * Excludes physical education, driver education, cooperative education, English as a second language, remedial (in all areas of study) and exceptional education courses. The ACT or SAT is required of all new first year student applicants under age 21. While we prefer the ACT, there is not an advantage in submitting one test rather than the other. We do not require the ACT writing test. UWSP codes are: ACT code is 4680; SAT I is 1919. In addition to academic achievement, the following non-academic factors are considered: demonstrated leadership; involvement through work experience, extracurricular activities, and volunteerism; personal characteristics and accomplishments including special talents and abilities, honors, awards and personal qualities; diversity in background and experience; and life circumstances. While non-academic factors are considered, they will not necessarily make an applicant with a weak academic background a strong candidate for admission. The following chart provides information that will help you assess the likelihood of admission based on class rank and ACT alone. Though this chart may provide you with a general picture, please note that your likelihood of admission will also be affected by the other admission criteria listed above. Applicants from schools that do not provide class rank should review the Profile of Admitted Freshmen section above. We encourage all interested applicants to apply for admission. All applications are reviewed on an individual basis. Some applicants who are not admitted will be placed on a waiting list for admission on a space-available basis. To reserve your spot - pay your enrollment deposit online here.